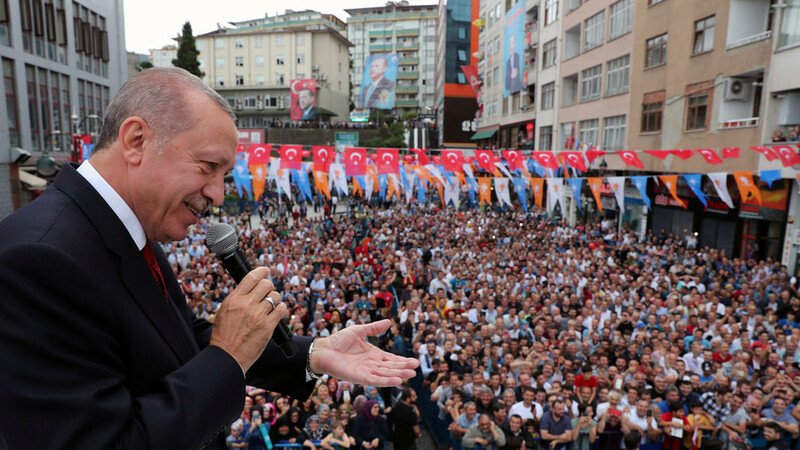 Washington has "upset" Turkey with its "unilateralism and disrespect," Turkish President Recep Tayyip Erdogan said at a rally. He also wrote in the New York Times that Ankara will be forced to look for "new friends and allies." Speaking to a crowd in his hometown of Rize on Saturday, Erdogan addressed the recent US decision to sanction two Turkish officials over the detention of American pastor Andrew Brunson, who has been held in Turkey since 2016 over claims that he was linked to the failed coup attempt in July of that same year. "If the US is turning its back on us...choosing a pastor instead, sorry...we continue our path with decisive steps," Erdogan said, as quoted by Reuters. "This treatment by America of its strategic partner has annoyed us, it has upset us." Erdogan's speech came after the New York Times published an op-ed by the Turkish president, in which he said the US has "repeatedly and consistently failed to understand and respect the Turkish people's concerns," adding that "in recent years, our partnership has been tested by disagreements." He went on to say that unilateral actions against Turkey by the US will "only serve to undermine American interests and security" and said that Washington must "give up the misguided notion that our relationship can be asymmetrical and come to terms with the fact that Turkey has alternatives. "Failure to reverse this trend of unilateralism and disrespect will require us to start looking for new friends and allies," he said, noting that the relationship between the two NATO member states "could be in jeopardy" unless the US changes course. Erdogan's remarks come after pro-government Turkish lawyers submitted a petition for US soldiers at Incirlik Air Base to be arrested, claiming they were connected to the Gulen movement, which Ankara claims was behind the failed coup attempt. They have also asked for all outbound flights from the base to the US to be halted, and for the base to be searched via warrants. Tensions between the two countries worsened following Ankara's crackdown after the failed coup attempt in 2016 and again in October 2017, when Turkey arrested a US consulate worker for allegedly having ties to Gulen. Turkey has, without success, requested that the US extradite Fethullah Gulen, who lives in Pennsylvania. A war of sharp words also took place in January, when Turkey launched 'Operation Olive Branch' against Kurdish fighters in Afrin. The two are also at odds over Turkey's purchase of Russian S-400s, with the US holding back on its delivery of F-35 jets to Turkey over the issue.